The foundation of Migros A.Ş. was laid in 1954; the company has been the pioneer of the Turkish retail sector for 62 years and now employs 21.403 people. 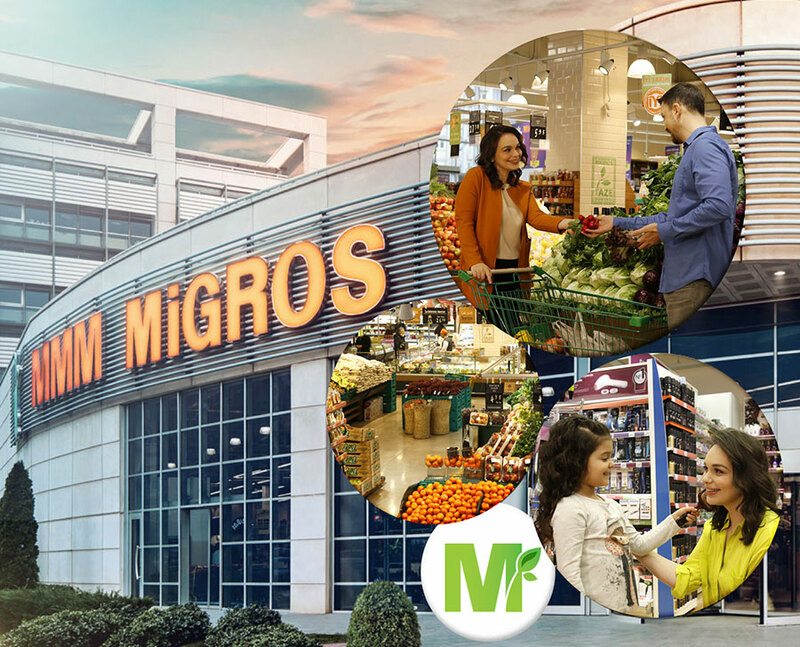 Migros has 1536 stores in 72 provinces and a total of 1575 stores including those in Kazakhstan and Macedonia as of the end of September 2016. It opened 194 new stores in nine months and is getting closer to more customers through its Online Store and Mobile Shopping channels. 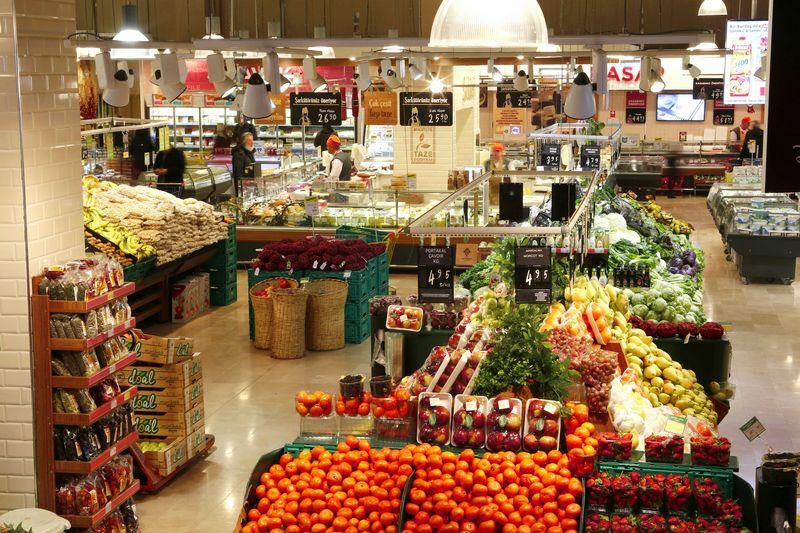 Migros speaks to the hearts and minds of more than 1,750,000 million individual customers that visit its stores every day with its fresh products, economic prices, good service and wide range of assortments. Migros has been a pioneer for 62 years and has taken many steps that have led the industry’s growth. It introduced Turkish consumers to barcodes, credit card payment, electronic cash registers, private-label products, part-time work, Money loyalty program, Online market and Jet Kasa self-checkouts. Migros ensured the growth and modernization of the sector by taking these pioneering steps and paved the way to establishing many standards. As the leader of the new generation retail business, Migros differentiates itself by offering a unique shopping experience thanks to its services. The four pillars of Migros’s strength are productivity, penetration, shopping experience and growth. A higher penetration rate, investments that are shaped according to the permanent solutions on its productivity and innovations that match its pioneering role strengthen the company’s competitive edge. Above all, while pricing a shopping basket with daily necessity items, Migros considers family spending budget as its primary criteria. Thanks to its high penetration level, the customer profile of Migros is a reflection of Turkey and represents all ages, segments and geographical areas. Migros positions fresh food, one of its most important core competencies, as a differentiating competitive advantage. 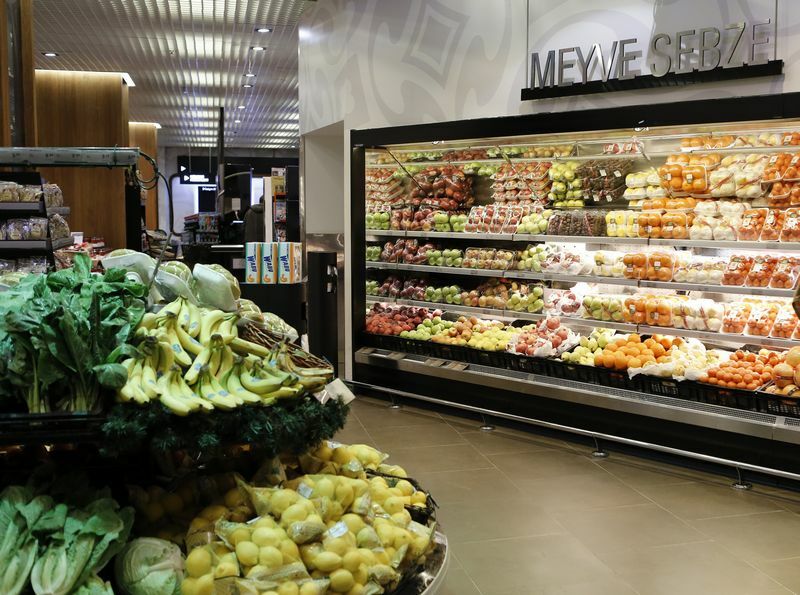 Migros made investments and set up the systems that ensure that fresh food reaches its customers’ basket at Migros’s standards. The company’s investments in applications that shorten the time from order to delivery and improvements in the logistics and distribution systems have increased both productivity and product availability at stores. In addition, Migros has become reference point for fresh fruit and vegetables with the “Good Agricultural Practices” launched for the first time in the retail sector, for fresh meat with its recently opened meat processing and packaging facility and for fresh chicken with “Good Animal Husbandry Practices”. Migros is the only food retailer in the ‘BIST Sustainability Index’ three years in a row, with its pioneering steps at environment, human and good living issues in its sustainability practices. Migros also takes place among the CDP Turkey Climate Leaders with its climate change action plan.